Silver Spring Networks has been striving to define itself not just as a smart meter vendor -- an increasingly tough business to be in -- but as a provider of software and services to put the smart grid’s increasing number of devices to use. Last week, it won a contract to provide consumer engagement and efficiency software to Michigan utility Consumers Energy, an early example of how it might be making that transition. First of all, Consumers Energy picked Silver Spring’s software suite over multiple competitors, including incumbent Opower, a big name in customer engagement and energy efficiency, which had worked with the utility in the pilot version of what the utility is now taking to all of its 2.7 million customers. Second, it’s the first big contract that’s not built on Silver Spring’s own smart meter network. Instead, Silver Spring will deploy its software over Consumers’ cellular-enabled smart meters from Itron. That in itself isn’t so unusual -- many smart meter deployments use different pieces of software from different vendors, both for core network and data management functions and for the consumer engagement portals and platforms they make available to their customers. But Silver Spring is taking that integration role a step further by promising to put its SilverLink Sensor Network to use across the Itron cellular network. 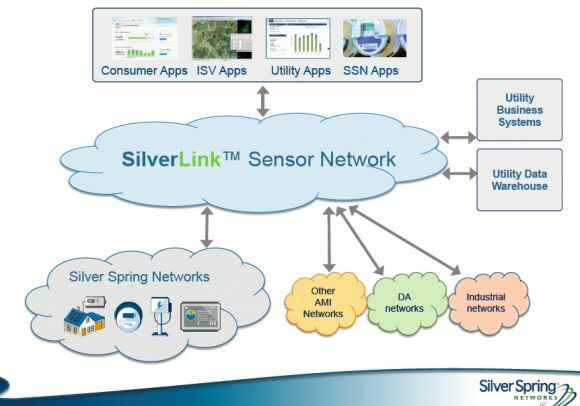 SilverLink is the technology platform Silver Spring launched earlier this year with the promise of fast and agile data management across networked smart grid devices, as well as to the cloud, and this is the company's first foray into devices that aren’t using its own hardware. So far, SilverLink’s “ecosystem” includes smart grid data analytics from AutoGrid, grid sensors from Sentient Energy, volt/VAR optimization from DVI, and energy disaggregation technology from Bidgely, PlotWatt and Onzo, as well as NoSQL database expertise from MongoDB. But Silver Spring hasn’t revealed specifics about which partners are working on which utility projects, including the new Consumers Energy deployment. CustomerIQ, the software platform Consumers Energy is using, has been part of Silver Spring’s deployments for some time, including its successful program with Oklahoma Gas & Electric. Over the past year or so, “we’ve essentially rebuilt that on top of SilverLink to take advantage of all its capabilities,” he said. Those include a faster and more flexible approach to collecting data, by integrating with the network interface controllers (NICs) in smart meters, data concentrators and other field devices, he said. That’s a lot better than waiting for data to come through the meter data management system (MDMS) and into data centers and back-office systems, as much of today’s smart meter data analytics are carried out today. All of this work is part of Silver Spring’s quest to differentiate itself from smart meter and grid networking competitors like Itron, Landis+Gyr, Sensus, Trilliant and others. These competitors are working on their own distributed, internet-of-things-based approaches to similar challenges, of course. 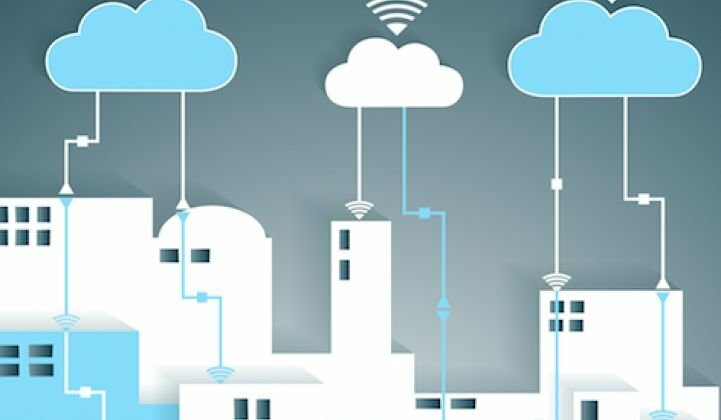 Itron’s partnership with Cisco to build embedded sensing and in-field data analytics capabilities into their shared smart grid networks is one key example. In last week’s third-quarter 2014 earnings conference call, Silver Spring CEO Scott Lang cited the Consumers Energy project as an important proving point for the company’s ability to run on alternative networks. “There are a lot of things we went into for the requirements for this product, as it had to truly differentiate the power of intelligent devices closer and closer to the edge of the grid,” he said. “We just saw where a lot of the existing kind of siloed solutions that run in batch in the IT department, back behind the scenes, were falling short of one of the most important priorities for utilities: how they bring new sources of value to their customers and how they engage their customers." Silver Spring will also realize “pure software and SaaS-type margins” from its Consumers Energy project, Lang said -- an important consideration for a company that’s trying to expand its long-term recurring revenues. Silver Spring announced layoffs and restructuring in September to adapt to the slowdown in utility smart meter deployments, following a similar workforce reduction at Itron a year ago.